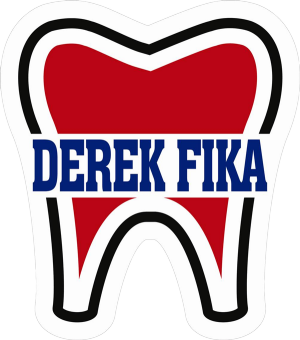 Dr. Derek Fika has been well-established as a reliable, compassionate, and gentle dentist. His team is dedicated to helping each of our patients achieve a healthy and beautiful smile or preserving the one they already have. We offer the latest techniques to maintain, enhance, or restore your smile. Dr. Fika focuses on prevention and provides complete oral health care as the foundation of an appealing smile. Our dentist prefers to build relationships based on trust with his patients so they feel comfortable and don't miss their routine visits. By keeping these appointments, the chances of having a dental emergency due to the spread of decay are greatly reduced. Providing effective dental care is a multi-faceted process that incorporates state-of-the-art dental technology and a patient education to ensure your smile is protected between visits to our dental practice. This approach saves our patients time and money for procedures that could have been avoided with proper care. Our dentist listens carefully to your concerns and goals, performs thorough exams with advanced imaging, and clearly explain your options. His staff is warm, friendly, efficient, and happy to answer your questions. By incorporating the latest technologies into routine dental care, Dr. Fika is able to develop precise treatment plans that are tailored to meet the unique needs of our patients. Contact Our North Edmonton Dental Office Today! Dr. Derek Fika and our family-friendly staff value each and every patient. Our whole team is dedicated to providing long-term solutions for your unique needs. Please contact our dental practice today to schedule your next dental appointment. Edmonton Dentist, Dr. Derek Fika is dedicated to family dentistry such as Exams, Teeth Whitening, Veneers and more. We are looking forward to your visit to our Edmonton, Alberta dental office.